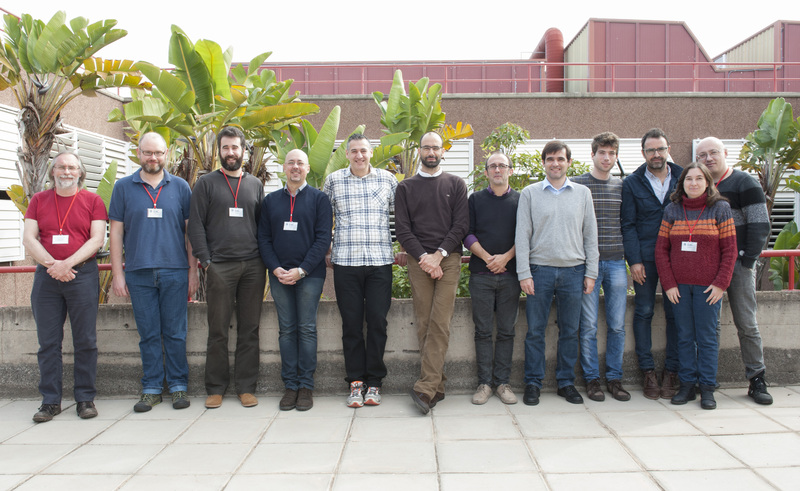 There are seven institutions involved in the project: the Instituto de Astrofísica de Canarias (IAC), the Universidad de Cantabria (UC), the University of Cambridge (CAM), the University of Manchester (MAN), the Scuola Internazionale Superiore di Studi Avanzati (SISSA), the Centre National de la Recherche Scientifique (CNRS, LPSC), and TREELOGIC (TREE). The IAC is the project coordinator, and it is responsible for the global management of the project. The IAC team has a consolidated experience in CMB research, and is the leading institution of the QUIJOTE experiment. The QUIJOTE data archive and the main pipeline of the project is located at the IAC. Given its excellent knowledge of the QUIJOTE MFI data, the IAC will coordinate the WP2, in charge of the combined processing of the Planck and QUIJOTE data (as well as other ancillary data) in order to provide them in a common format that can be directly used for the work of the proposal. 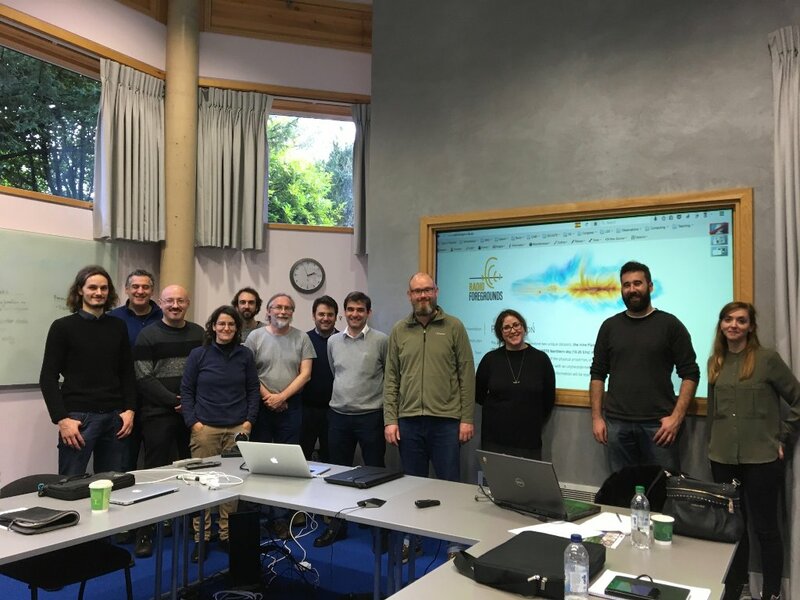 Another major contribution will be made to the modelling of the diffuse Galactic foregrounds (AME and synchrotron), topics where they are well-recognised experts, especially in the study of the AME with experiments like Tenerife or COSMOSOMAS. The IAC group will also participate in the simulation of the QUIJOTE and other CMB data and in the generation of the final products of the project. The UC group has a large expertise in the development of component separation techniques both for foreground and compact source emissions. Therefore, they will have a major contribution to the work related to these two topics. On the one hand, they will participate in the development of non-blind component separation techniques for diffuse Galactic foregrounds and the production of component separation maps. On the other hand, they will be responsible for the development and application of optimal compact source extraction techniques, as well as of the follow-up observations (e.g. with the VLA), in order to produce a catalogue of polarised radio sources using all the available data sets. The UC node will also have an important participation in the forecast of the effect of radio foregrounds in the determination of cosmological parameters for future CMB experiments. The CAM node is internationally recognised for its wide experience in many aspects of CMB data analysis. In this proposal its main contributions will focus on the production of realistic simulations of Planck, QUIJOTE and other ancillary data and the development and application of blind and non-blind component separation techniques for the production of diffuse foreground maps. At a lower level, they will also participate in the production of Planck and QUIJOTE in a common format, and in the modelling of the different radio foregrounds, which are key ingredients for the production of the required simulations. The MAN node has played a major role with regard to the calibration of the Planck data and the LFI data processing. At the same time, they are in charge of one of the pipelines of QUIJOTE, and therefore have a very good knowledge of the QUIJOTE MFI data. Naturally, they will contribute to the cross-calibration of the Planck and QUIJOTE frequency maps. Another major contribution of this node will be the characterisation and modelling of the low frequency Galactic foregrounds, especially of the synchrotron emission, topic on which they have a long and well recognised experience. The SISSA has large expertise in many of the key aspects of the proposal, including the development of diffuse component separation techniques or the study of the physics and the evolution of extragalactic radio sources. Their main contributions will be the development and application of a blind component separation technique to the QUIJOTE and Planck data, the modelling of radio point sources and the study of the cross-correlation between the improved radio point source catalogues and future cosmological surveys. Given their experience with the LFI-DPC and the delivery of Planck products to ESA, they will also be very involved in the generation and delivery of the final products of the project and their integration into the ESA archive. Finally, they will also participate, at a lower level, in the cross-calibration of Planck and QUIJOTE data as well as in the characterisation of the Galactic foregrounds. The LPSC group has a long experience in the study of polarised Galactic foregrounds and on the modelling of the Galactic magnetic field. This, together with their expertise on the analysis of the Planck polarised data at low and high frequency, makes them the right group to be responsible for the reconstruction of the Galactic magnetic field. They will also significantly contribute to the modelling of the AME and to the forecast of the impact of radio foregrounds on future CMB experiments. Among other fields, TREELOGIC is expert on the development of open source software and big data technologies. They have also experience on providing solutions to the academic domain. This node will be responsible for the final products provided by the project, including the database of the proposal and the visualisation, simulation and analysis tools. TREELOGIC will work closely together with the scientific nodes in order to provide the best possible platform for the final products of the proposal, in order to ensure that these are widely used by the scientific community. They will also participate in the integration of the products into the ESA archive.